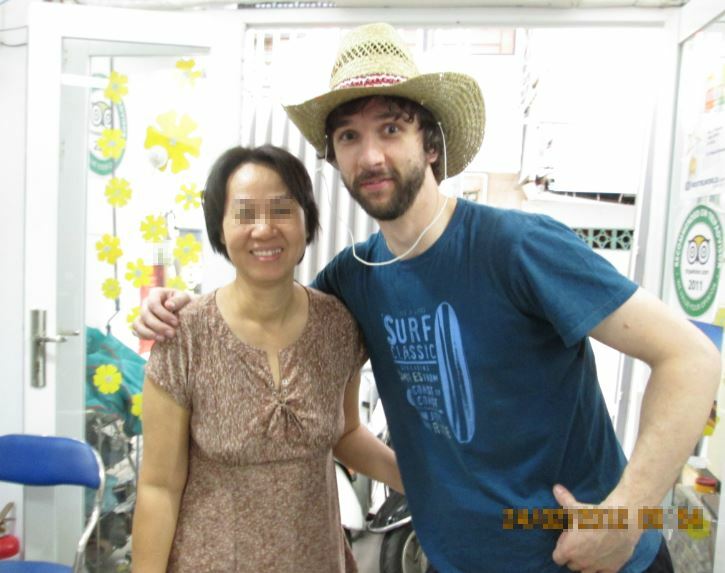 A picture of me in Vietnam (Saigon to be precise. My girlfriend Jen and I went there back in February 2013), posing with the lovely guest-house owner that we'd literally just met after almost getting murdered crossing the street (by cars and mopeds, not a wandering murderer/es). I've used an editing tool to obscure her eyes. They'd had the internet over there for a while but she was very suspicious of it still, so somehow doing this to preserve her identity a bit makes me feel better. And yes, I know I look like a massive dork (no idea why it looks like I've got funny eyes in this photo, honestly I haven't. At least I don't think so...). This may sound quite odd, but I actually never wanted to be a writer. I'm not going to lie and say, like so many people, that I was always writing (although I wish I could!). That I loved books more than anything. I didn't. I couldn't have. It would have been impossible. And I mean that in every way imaginable. Because when I was young I was really struggling with things. Back then, in the 1980s, nobody took things like dyslexia seriously, and what I had wasn't even as well recognised as that. Dyscalculia was just as serious a problem, though, and although it was more of an issue with numeracy, it affected me badly enough that school was the very last thing on my mind the second I got out those doors. I'm told that at a very early age, I displayed a gift for art. I remember little of this difficult time, but I do know this: when I was young, when I could leave the house for the day without ever needing to take a wallet, art was the one great thing about the world. The sheer freedom of creativity it afforded me meant that, eventually, through the years, I was able to focus on creating things and much less on the academic talents that I so clearly lacked. Suddenly, it felt as if the world had opened up. A few years later, I'm living in Cologne, West Germany. Life is good. Then I fall very ill and in days, my life turns upside-down completely. I end up at the doctor's and she tells me that I may have meningitis. I end up at the hospital and undergo a full battery of tests. I have acute pneumonia and severe dehydration following a horrific sleepless 9 days and things are very bad. I drift into unconsciousness (a state called "sleep paralysis") and when I awake I can't feel my legs. Can't move a thing. After a massive amount of effort, I manage to inch my fingers towards the emergency button and I press it. The nurses come, then it's a long story. I get my legs back eventually, but 3 years of difficulty are ahead of me and I don't even know it. In 2009, after an endless myriad of problems with every part of my body, I get struck down by another episode. In my bed, I can't move my legs. In the hospital, days later, they tell me I contracted a rare virus back when I had blood-poisoning. It had gone unnoticed all this time. The conclusion: what may happen to me isn't sure and nobody can say if I'll live or die. Nobody has seen this exact thing before. From this point on, everything is, at best, a guess. During this time of recovery, I had to find something to do. I simply needed to in order to survive. Freelance writing felt perfect for me, and as I recovered and got my life back, my freelancing potential grew more and more. I began to realise that I was happier with my work than I had been in years. Now I'm here, I'm recovered and life is better. Much better. I have a wonderful girlfriend called Jen, and, best of all, I absolutely love what I do.